This is our most basic and most affordable siren system available, the Sytex PA300 Siren System. 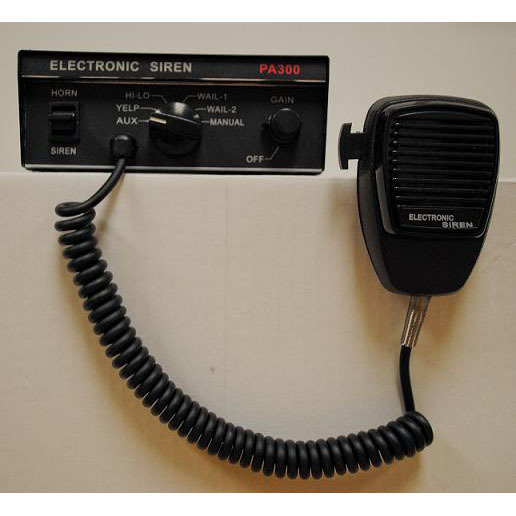 This system is perfect for anyone on a tight budget and need just a simple siren. This is a complete standalone system which will require no extra components except for the siren speaker. This is a 100w system and is EXTREMELY loud! The unit includeds the mounting bracket, microphone clip, and wiring harness. The adjustable GAIN switch allows you to choose the PA and SIRE volume at ease. You can easily toggle the airhorn or siren tone to get quick attention.